The Backbencher can reveal that amongst those who attended the Durham Miners Gala last weekend, to which Labour leader Jeremy Corbyn gave the primary address, was a contingent openly expressing support for Soviet mass murderer Joseph Stalin. 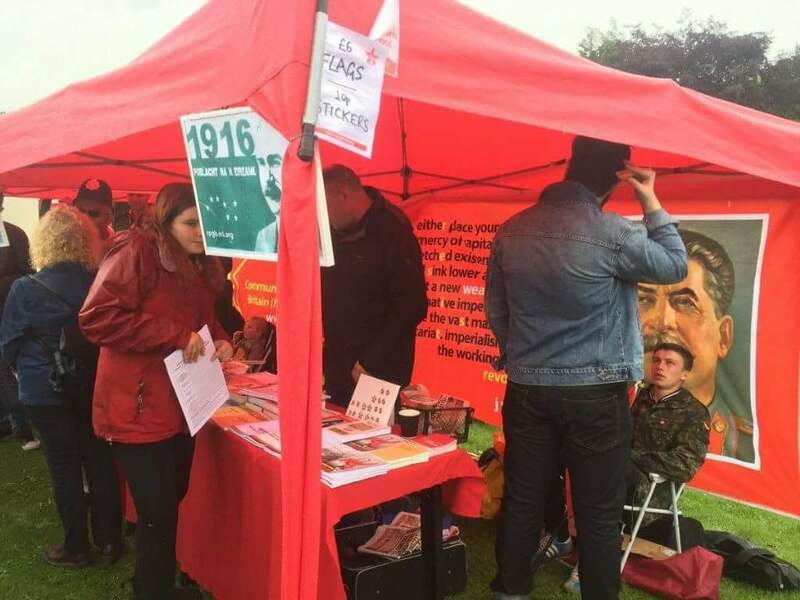 Our source, a Labour Party supporter outraged by their presence, informed us that they were ‘near the entrance’ with a massive portrait of Stalin and a number of communist flags. The Stalin admirers were from the Communist Party of Great Britain (Marxist-Leninist), a far-left sect formed in 2004. The group is open in its admiration for Stalin, with a photo of the dictator adorning the ‘about us’ section on its website. Amongst its positions the CPGB-ML has a policy of ‘unconditional support for the Democratic People’s Republic of Korea’ (that is the ironically misnamed North Korean regime). The CPGB-ML, complete with portrait of Stalin, were also present at the 2017 London May Day March, where Shadow Chancellor John McDonnell gave a speech below two of their flags. He later, rather amusingly, claimed he hadn’t noticed they were there. 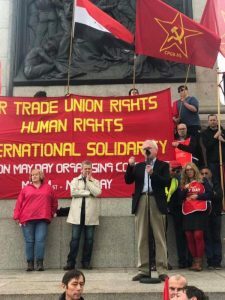 Shadow Chancellor John McDonnell speaking at the 2017 London May Day rally under two flags of the CPGB-ML. If Corbyn is prepared to give a speech at an event where huge portraits of Stalin are openly on display then the question has to be asked, is there no moral line he isn’t prepared to cross? Perhaps an event which includes a Union Jack. Stalin was responsible for tens of millions of deaths, yet the media seems uninterested. By contrast can you imagine the outrage if May gave a speech at an event including portraits of Hitler or some other fascist dictator? The double standards in the media’s treatment of far-right and far-left extremism need to end.